We are MORE than movers. We are a COMPLETE turnkey service. We go the distance, so to speak, because we know what we're doing. Our crew is comprised of the most experienced and detailed movers, packers and organizers, which means each item and each aspect of your move is in good hands no matter what stage. We are experienced estimators - of every type of job - as well, so our clients are never surprised by a bill. 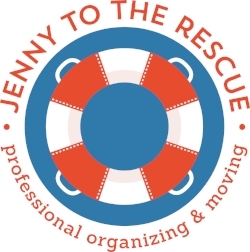 Jenny To The Rescue moves people from coast to coast or right around the block. The same care, planning and professionalism is there no matter the distance. We love what we do and it shows. - every detailed is planned out, we even deliver donations and consignment. We guarantee a smooth transition from your current residence to your new home and we take the stress out of your move by being on top of everything so you can handle everything else that is important to you. John and Jose are sticklers for keeping an extremely clean and organized job site for themselves and for clients. This attention to professionalism and respect accompanies every element of a project. We aren't movers. We are professional movers, and that distinction matters to us and our clients. Packing, unpacking & organizing Dream Team.